As a part of the OceaniaNEXT fleet enhancement, Oceania Cruises announced that they will be eliminating plastic water bottles on board all of their ships. Oceania plans to do this in conjunction with Vero Water. Vero Water is a premium quality still and sparkling water brand that will produce the water onboard and serve it in reusable glass bottles and carafes. Oceania hopes to have Vero Water systems on their entire fleet by June 2019, and then turn their attention to eliminating plastic water bottles at port and on shore excursions. 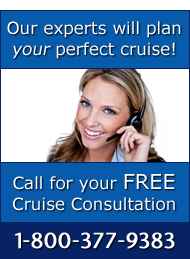 For more information on Oceania Cruises and complete details on the OceaniaNEXT enhancement, please call The Cruise Web today at 1-800-377-9383 to speak with one of our expert consultants! In 2022 and 2025, Oceania Cruises will be rolling out their newest class of ship: Allura. Weighing in at nearly 70,000 tons, these ships are set to carry 1,200 guests. For more information on the new Allura-class ships and Oceania Cruises, please call 1-800-377-9383 to speak with one of our expert consultants today! Since 1958, Ralph Lauren has been a pioneer in the fashion industry. In 2018, the brand not only celebrated their 50th anniversary in fashion, but their seventh year on water. Partnering with Ralph Lauren Home, Oceania Cruises plans to remaster the Owner’s Suites on their luxury yachts, Riviera (2019) and Marina (2020). With the help of Trevor R. Howells Interior Design, Oceania aims to capture the essence of home through intricate design elements, such as baby grand pianos, quartzite counter tops, and mahogany trim. From paint colors to accent pieces, every detail in the suite was carefully selected to showcase Ralph Lauren’s love for travel and adventure. As a luxury cruise line, ensuring amenities are up to par with the expectations of their guests can sometimes be a challenge for Oceania. Formally trained on-call butlers, Ralph Lauren Home interior and exterior furniture, and floor-to-ceiling windows with a captivating ocean view turn each suite into a luxury hotel on water. 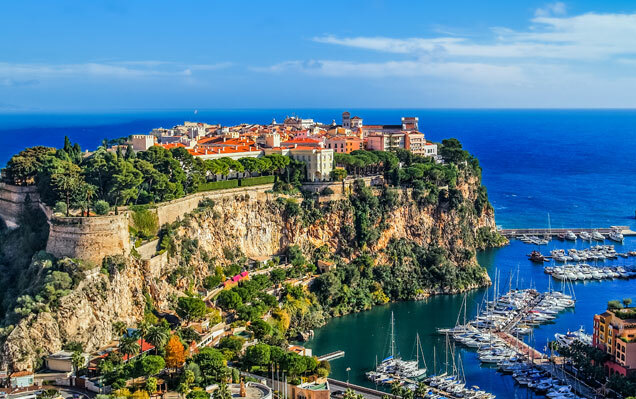 For more information on Oceania’s Riviera or Marina, and to learn more about their future itineraries, please call The Cruise Web today at 1-800-377-9383 to speak with one of our expert consultants. 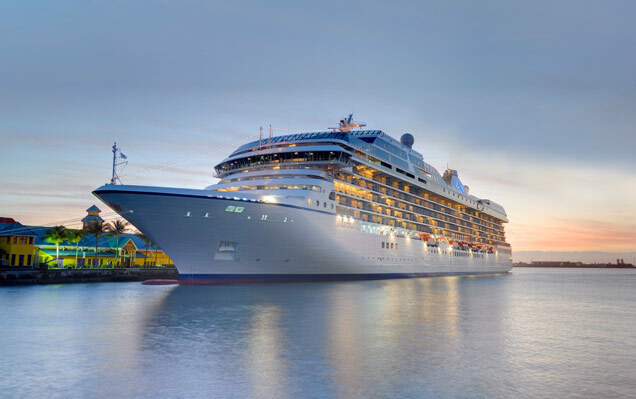 Oceania Cruises recently announced its new OceaniaNEXT initiative, which will see four ships reimagined with enhancements that will elevate every component of the guest experience. A $100 million re-inspiration of Oceania’s 684-guest ships, Regatta, Insignia, Sirena and Nautica, will result in four better-than-new-ships. When the re-inspiration is finished, each ship will feature 342 brand new designer suites and staterooms, as well as stunning new décor in the restaurants, bars and lounges – all inspired by Oceania’s 450 ports of call. Insignia will debut in December 2018, then Sirena in May 2019, followed by Regatta in September 2019 and Nautica in June 2020. If you’re a ‘foodie’, looking for luxury at an affordable price, enjoy understated elegance, or want to see the world in your own way, then a cruise with Oceania Cruises is perfect for you! For more information about upcoming sailings aboard Oceania’s Marina, and all other Oceania sailings, call The Cruise Web today at 1-800-377-9383 to speak with one of our expert cruise consultants. Oceania Cruises Celebrates 15 Years! 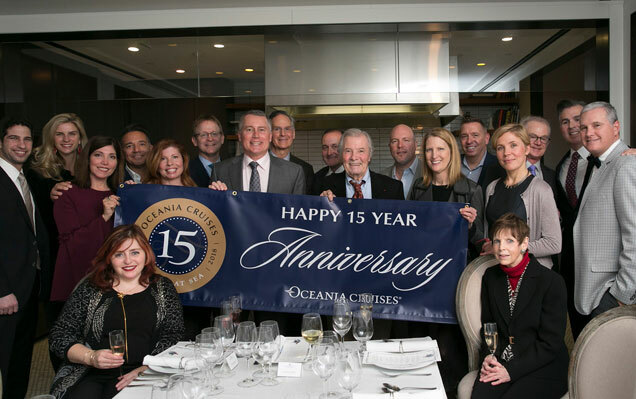 As one of Oceania Cruises’ top producers, The Cruise Web was invited to participate in the Oceania’s 15th Anniversary celebration in New York City, featuring an exquisite menu inspired by none other than world renowned chef, Jacques Pepin! The Cruise Web’s Vice President, Karolina Shenton, was honored to represent the company at this intimate event hosted by the Oceania’s executive team. 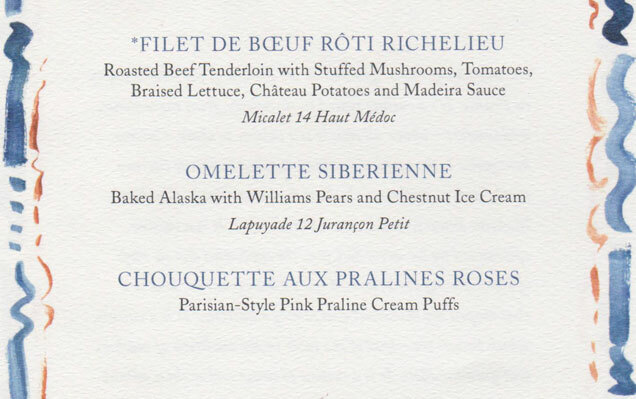 The menu presented that evening was a seven-course affair, La Cuisine Bourgeoise, and featured dishes from Pepin’s childhood. Oceania’s clients can now taste the same dishes on select Oceania’s ships and enjoy “happiness on the plate” as Jacques Pepin says. The special guests of the event included, Jacques and his daughter, Claudine Pépin, who is the godmother of the Oceania’s ship – Sirena. Upon Karolina’s return to the office, she had more than a few stories about the amazing dishes she enjoyed at this exclusive event. If you would like to experience this amazing culinary experience for yourself, speak with one of our cruise consultant about booking your next voyage aboard Oceania Cruises. Oceania Cruises, a world leader in culinary expertise, recently announced its newest dining experience – La Cuisine Bourgeoise. 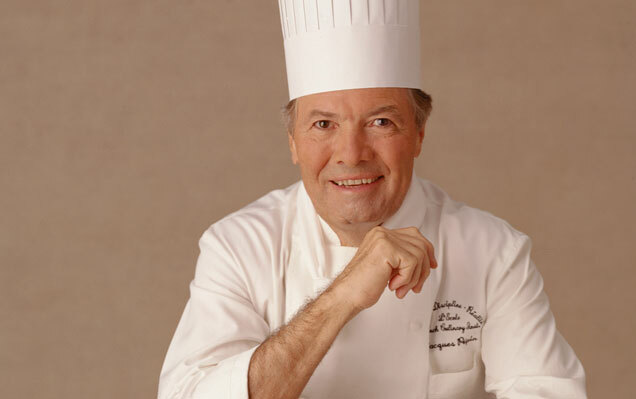 Created by Oceania Cruises’ Executive Culinary Director, Master Chef Jacques Pépin, La Cuisine Bourgeoise is an elegant seven-course affair where guests will be treated to fresh, seasonal ingredients, classic flavors, and will celebrate sharing a meal with friends and family. The dining experience will feature many of Chef Pépin’s favorite dishes. 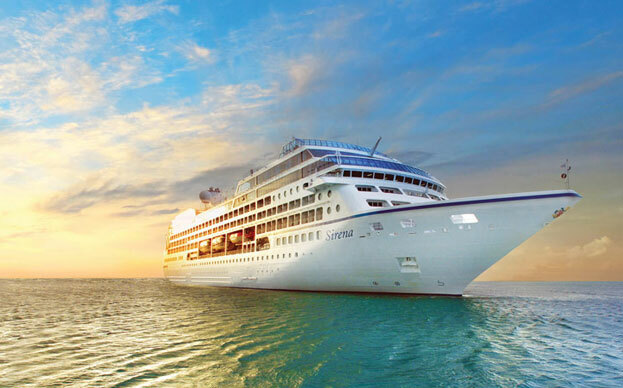 Over the years, Oceania Cruises has explored the link between healthy living and mindfulness through its wellness retreats at sea. With every new program introduced onboard, Oceania Cruises worked to perfect its transformative wellness experience. 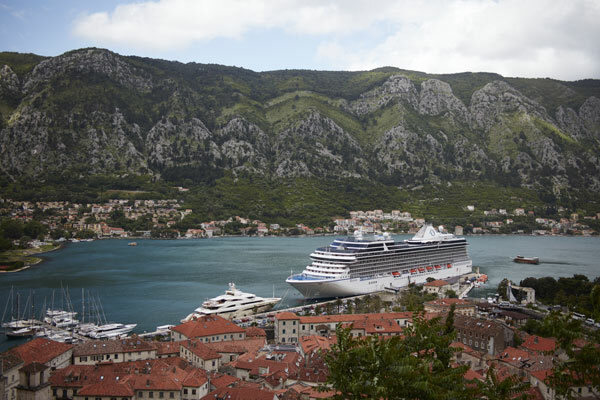 Now, for the first time ever in the cruise industry, Oceania Cruises in partnership with Canyon Ranch will debut an exclusive and comprehensive innovative series – Wellness Tours Inspired by Canyon Ranch. As a fully-integrated wellness retreat at sea, these tours will provide a new and unique way to experience specific regions while immersing your being into wholeness and health-inspired explorations. France, Spain, Italy, and Greece will be first on the itinerary for exploration. As time goes on, many more destinations will be included. While onboard, savor the various breakfast options that promote a healthy morning routine, and a delicious dinner menu featuring “steamed Maine lobster atop savory Castilla-La Mancha saffron rice followed by warm, fragrant chocolate cake.” Enjoy a signature treatment at the Canyon Ranch SpaClub, with a Canyon Stone Massage or a detoxifying Seaweed Leaf Wrap. Take advantage of the generous savings provided through wellness specials at the SpaClub. WiFi connectivity at sea just got a whole lot better for guests sailing on Norwegian, Oceania and Regent ships starting July 2016. Experience lightning-fast WiFi powered by SpeedNet, as the ongoing efforts of Norwegian Cruise Line Holdings to enhance internet experience on all 23 ships prove the company’s commitment to excellence at sea. The current bandwidth across its fleet will be quadrupled to deliver popular websites at speeds that imitate high-speed fiber optic networks. This will allow guests to stay in touch with family and friends back home, keep up with social media postings and access internet content of choice. Joining the world-renowned Oceania Cruises’ fleet with a star-studded christening ceremony in April 2016 was Oceania’s newest ship, Sirena. This elegant sister ship to Regatta, Insignia and Nautica has a 684-passenger capacity with distinguished Owner’s and Vista Suites that exude class and elegance. Featuring some unique highlights of her own, Sirena embodies the most treasured elements of Oceania Cruises with a touch of modern chic designs suitable for progressive cruising. Everything from world-class musical productions, comedy shows and theatrical effects were carefully put in place to create long-lasting memories.